The City of Lincoln fielded a team in the Placer Nevada League from 1923 to 1968. The Placer-Nevada Baseball League was founded in 1923 by newspaperman Allen "Scoop" Thurman, editor of the Colfax Record. Auburn-Newcastle was a charter member and won the league's initial championship. Other charter members of the six-team semi-pro league included Roseville, Colfax, Lincoln, Grass Valley North Star Mine and Grass Valley Empire Mine. Most PNL teams were based in Placer and Nevada counties including the Truckee Moutaineers however other teams as far away as Marysville, Chico, Oroville, Orland (defunct Sacramento Valley League teams) and Lodi would later join the circuit. From 1951-1957 JACL (Japanese American Citizens League), an all-Japanese team from Penryn/Loomis competed in the league. The team was led by catcher Bob Hayashida. Hayashida and Fred Besana formed the battery for the 1949 Placer Junior College championship team. PNL games were mostly played on Sundays, generally before crowds of 500-1,200 onlookers. 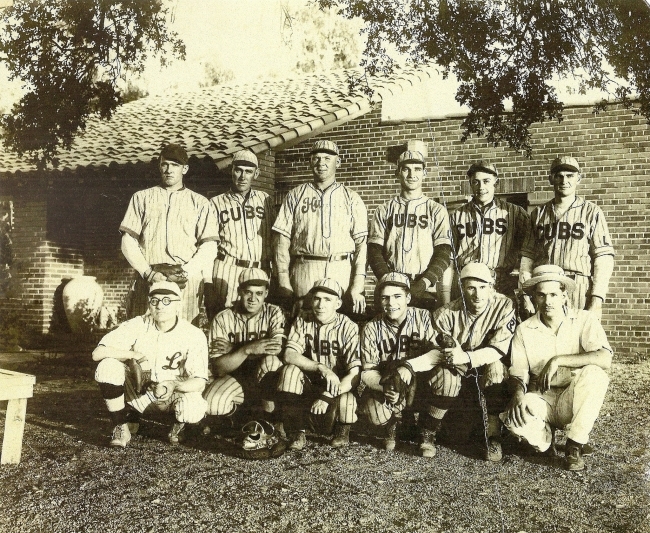 In 1926, the Lincoln Cubs won the PNL title and was led by seventeen-year-old pitcher Cedo Besana, father of Baltimore Oriole pitcher Fred Besana and grandfather of Bay Area Invader quarterback Fred Besana Jr. The Potters were a PNL powerhouse during the 1950's, winning titles in 1950, '51, '52, '54, '56, and '57. They also won championships in 1926 and 1941. The Potters were sponsored by Gladding McBean, a terra cotta and clay manufacturing company located in Lincoln that replaced much of the friezes and other ornamental decorative pieces that were destroyed in the 1906 San Francisco earthquake. The sewer pipe and roofing tile manufacturer was founded in 1875 and still operates today as one of California's oldest companies. The Lincoln team played under several names, including the Cubs, Tigers, Merchants, and Potters.